Ever wondered how to get in touch with artists for your professional or personal creative requirements? Your quest for the perfect creative talent ends here at Platform For Artists (PFA), an art community based out of Pune that simplifies art and connects you or your brand with the relevant artists. We love that the team is filled with passionate and hardworking individuals who are striving to make a difference through their love for art. Having been associated with more than 5000 budding as well as established artists, they have successfully simplified art services for so many corporate brands and individuals. 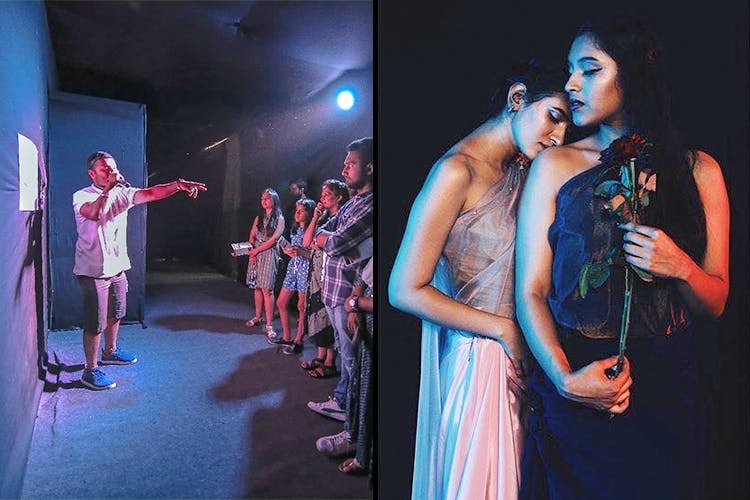 We hear they conduct several art getaway projects in other cities like Mumbai, Bengaluru, Ahemedabad, Nagpur, Goa, Mysore etc, which is an ideal platform for like-minded people in art and culture segment to meet up and do art collaborations with artists. The artists specialise in array of fields such as folk music, dance, art, painting, sculpting and other crafts, designing, organic farming etc. The next time you face any creative dilemma, their art getaway projects and all-night art events, is where you go to. By doing so, they are bringing in the commercial element in art, which will help it survive and enable retention of talent and artists in the field. The community does not have a website of its own which stops us from seeing all the wonderful work they have been doing. We feel they should have one as soon as possible. PFA often teams up with other organisations and NGOs for getaway projects. We suggest you mark your calendars and attend the Yellow Ribbon NGO Fair in October which is in association with Ishanya Foundation of Pune.